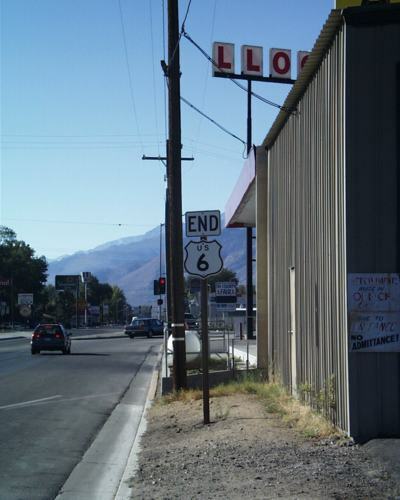 This picture shows the western end of US 6 in Bishop, CA. Interesting with the style of US shield that CalTrans uses. Photo by Merle McClelland.